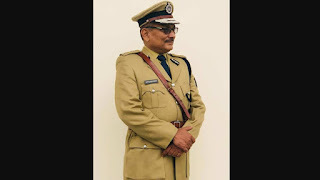 IPS Gupteshwar Pandey Became New DGP of Bihar. Note that DGP is the highest ranking police officer in a state. DGP has a total of three stars and you can say a DGP is a three star rank official. DGP is appointed by a State Home ministry cabinet personnel. After a lot of discussions and reviews, Bihar Home ministry finally decides the name of Bihar DGP. IPS Gupteshwar Pandey of 1987 batch is now became the DGP of Bihar. Earlier, K.S Dwivedi have this post who is also an IPS of 1984 Batch. People recognizes Gupteshwar Pandey for his smart policing work. The native city from which Gupteshwar Pandey belongs is Buxar. However, he serves the position of SSP in Jahanabad, Begusarai and his work was quite outstanding. His work were still known when he serves under Ex Chief Minister of Bihar, Jeetan Ram Manjhi. He is also known for great campaigning at Ground root, when Bihar CM Nitish Kumar makes liquor ban in Bihar.